Flower power! 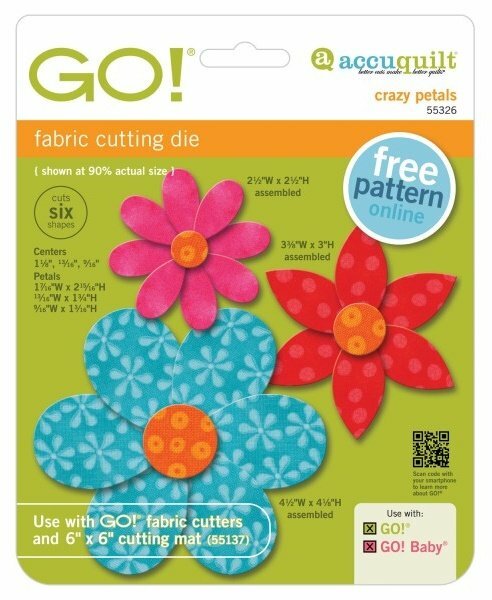 You'll love quilting up a field of fresh flowers with the GO! Crazy Flowers die. Fun and versatile, this die includes petals and centers you can mix and match to create a variety of flowers or use with other GO! floral dies to custom design your own quilted garden. Use GO! Big dies with your GO! Big Fabric Cutter to cut precise, accurate shapes in just seconds.